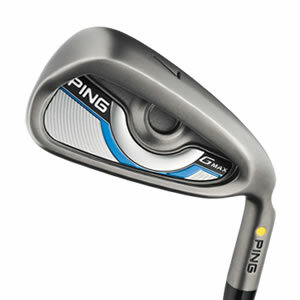 This super long and straight model utilizes COR-Eye Technology, a design that increases face flexing for faster ball speeds to generate incredible distance. 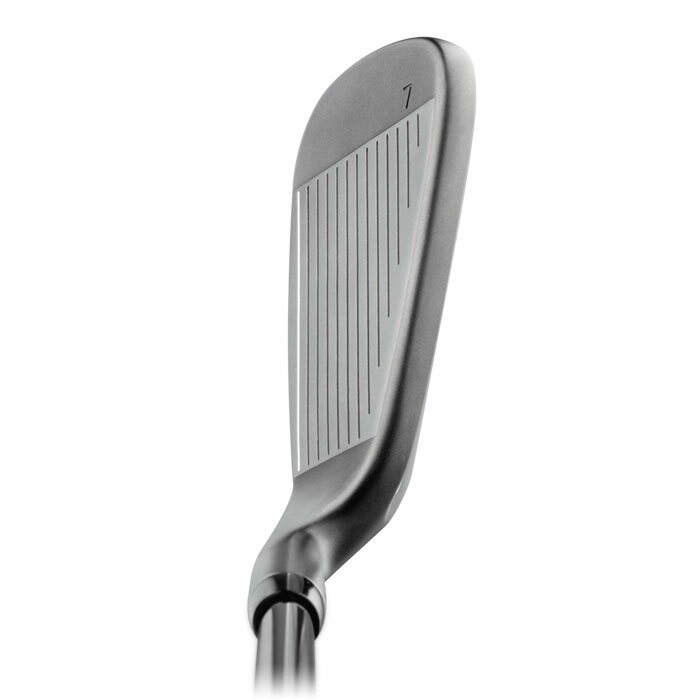 The wide sole positions the CG low/back to maximize forgiveness. Progressive lengths and lofts are optimized for efficient gapping with the distance control and high trajectory you need to hit and hold more greens. 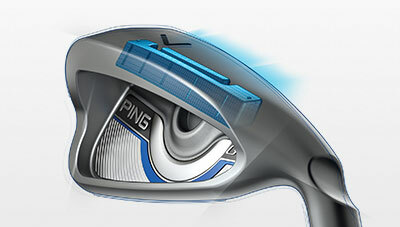 Innovative design generates ball speed by simultaneously activating the sole, face, and top rail, providing greater distance with increased shot height for better stopping power on the greens. 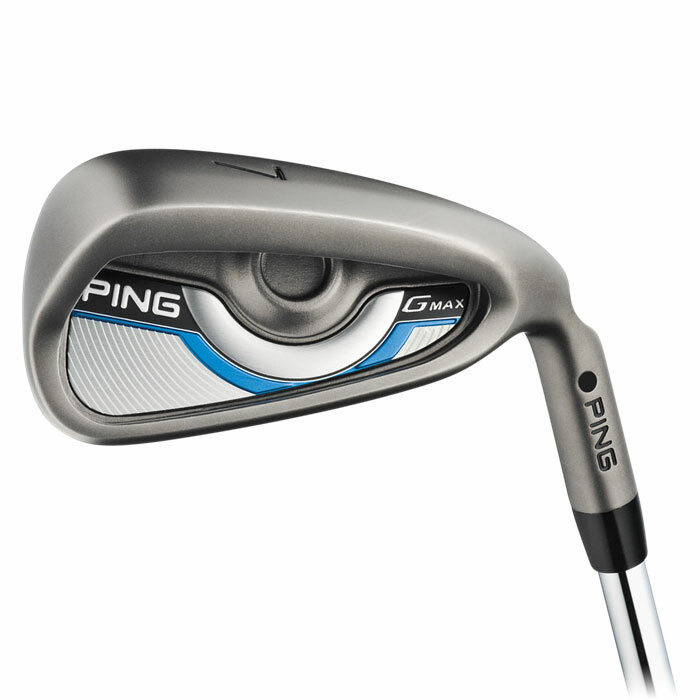 The cavity structure houses a concealed Custom Tuning Port that connects to the sole, moving each iron's CG lower and farther back to increase the MOI for extreme forgiveness and higher-launching, accurate results. 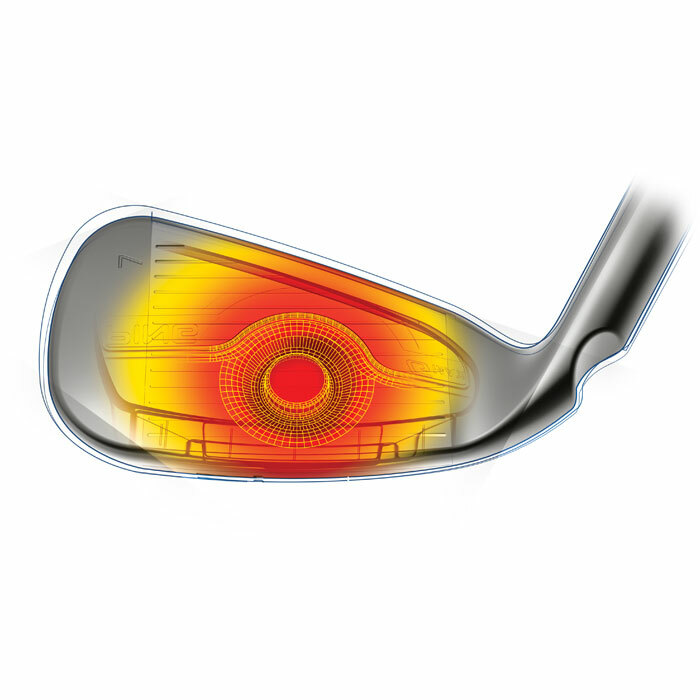 The wide sole locates the CG to maximize forgiveness, leading to more-accurate iron shots that launch higher and land softly to hold greens. 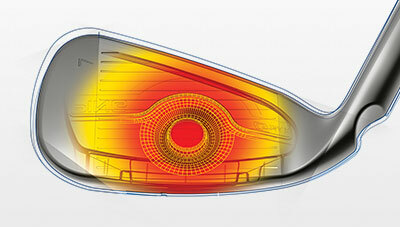 An enhanced lead edge, more trailing edge relief and refined bounce improve turf interaction. 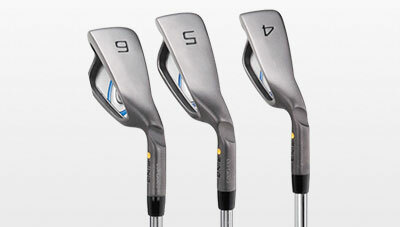 In the 4 thru 6 irons, lighter swingweights help square the clubface at impact, creating faster ball speeds for longer, straighter shots. 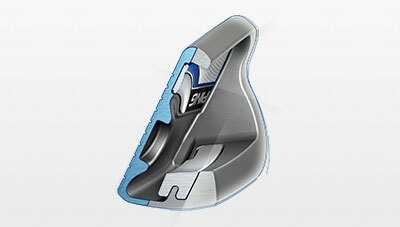 Heel-side weighting and higher lofts help reduce slicing.